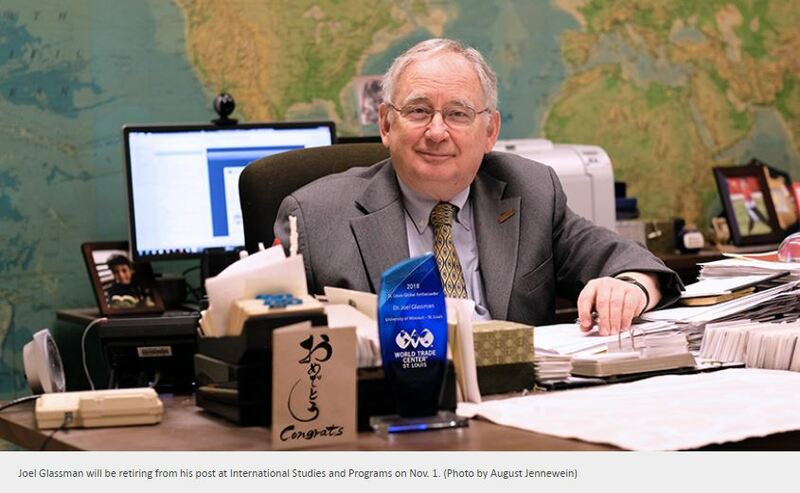 On the eve of his retirement after 45 years at the University of Missouri–St. Louis, Joel Glassman received a curious phone call. On the other end of the line was Tim Nowak, executive director of World Trade Center St. Louis, who, apropos of nothing, asked for Glassman’s biography. “I said, ‘Sure, anytime, what do you need it for?’ So, that’s how I found out,” Glassman recalled. Glassman, associate provost of academic affairs, academic director of International Studies and Programs and associate professor of political science, was being awarded the WTC’s Global Ambassador Award. 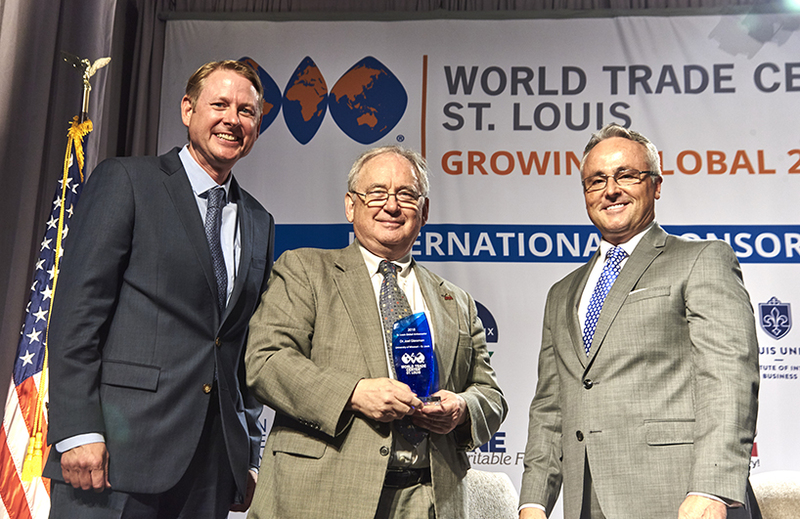 The award acknowledges “a person or organization that has enhanced the image of St. Louis as a global center and whose efforts have resulted in the positive exposure of St. Louis to the international community” and was given out at the WTC’s annual Growing Global luncheon on Sept. 21.